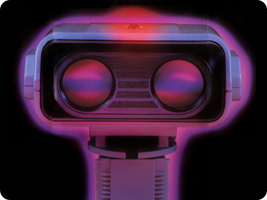 Nintendo created the Robotic Operating Buddy peripheral for the Famicom and NES mainly to help sell the NES in the United States. Little more than a gimmick with two games to its name, you controlled Professor Hector on screen to make ROB solve tasks off screen. Despite not being a massive hit, ROB was quirky enough to have developed a large fanbase, and is probably more famous for his multitude of cameo appearances.